As a young child growing up, I attended church with my mother and two sisters every single Sunday. Since becoming an adult I attend less, not because of religious belief, but because of my job. Working everyday is a must, not just for me, but most Americans. Yet this topic is not about most Americans, but a certain segment of the country that has held on to the Christian faith for a very long time. And that segment of America is the Black community. You see, I went to church every Sunday, but my mother and her sisters went not only every Sunday, but they went to church services during the week. And for my grandparents, they went so much, it could have been easily misleading into thinking they were working in the church as a second job. So why did I choose to talk about the topic of the Black community and the church? Well, for me, I live in New York City, and recently on the news, I have been hearing how the Black churches across the five boroughs have been closing their doors. One of which, the Cornerstone Baptist Church in Brooklyn just celebrated 100 years of service. But they are concerned that due to high rent because of gentrification and dwindling members attending, they are in fear of closing their doors as well. Their church has gone from 1,300 members down to just 75 people coming to church on Sundays. Now you think to yourself, the Black church was more than just a place of congregated for church. The church for the community was a place which held most of our meetings that were orchestrated by civil rights leaders during the movement. There they discussed agendas for upcoming marches, sit-ins, and any other show of resistance against the oppression we as Black people faced during that time period. Now, what has been the haven for our social justice and worship is now closing doors. But not just closing their doors citywide, but nationwide. Well, what is happening to the numbers of Black membership? One of the reasons for dwindling numbers is why I don’t attend: employment. Work is so hard to come by in our society today, so every chance you get to work, you do so. Some may take it as you not showing enough time for God, but you are put into a position in which you have to work. Making ends meet is so important, that missing any day is crucial to survival. And with so many of us as Black people still below the poverty level, you can’t expect your parishioners to just take off of work. Yet, is that the only reason, no. Another reason for the decline in the Black church is due to relationships becoming fragmented in the community. What do I mean by relationships, I mean Black men and women. Going to church in the Black community was a family tradition. But now, with single parent households and mothers trying to carry the load of the family, sometimes she is just too stressed to get her kids ready for Sunday service. Another connection with respect to relationships is the rising interracial marriages. Black people are marrying outside our ethnicity, and those relationships are taking on new beliefs of their spouse or not attending church at all. And still, there more reasons why churches in the Black community are closing. There is also a rise in the number of Black people leaving the Christian faith and converting to other religious, or not believing at all. That’s right, believe it or not, Atheism is on the rise, even in the Black community. A community that has been deeply rooted in God that even non-believers believe just in case God exist. But why has the belief decline throughout the community. One aspect is in regards to the way church has been centered toward believing that God watches over households where children reside. Yet so many of these households are the main homes that struggle to survive. Another connection to the loss of belief is the same reason for many other groups leaving the church: scientific proofs. The smarter man get the harder man has in believing in divine intervention and the afterlife. 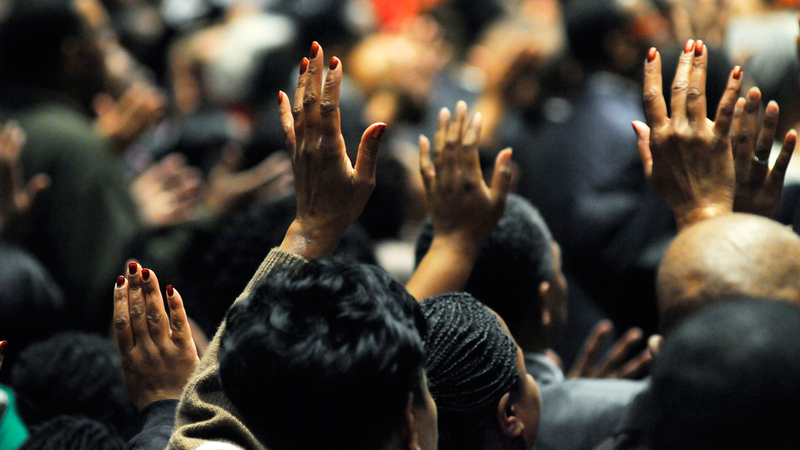 In the end, there are so many reasons why Black churches have diminished, but only a few stick out the most. Scary as it may seem, you might see the nonexistence of the Black church in America. Does that mean Black people are losing faith in life and themselves? No, but as a man who grew up in the Black church, if I live to be my mother’s age, the transformations that our community will take on could be drastic.